South America is a wonderful place for would-be world travelers who are on a budget. 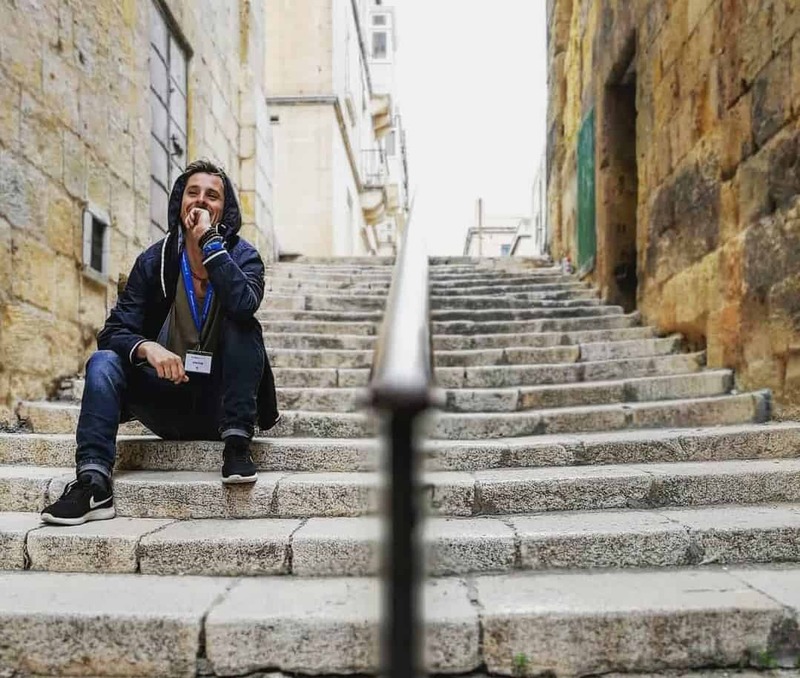 True, a flight to get there isn’t exactly what you’d call cheap, but once you arrive, you can take advantage of reasonably priced lodging, food, and transportation. Chile, the long, skinny country that stretches over 2,670 miles from its northern border with Peru to southernmost Patagonia, is a good option for the adventure-seeker. The spectacular Andes Mountain chain divides Chile from its eastern neighbor, Argentina. On the west, Chile’s coastline meets the chilly Pacific Ocean. 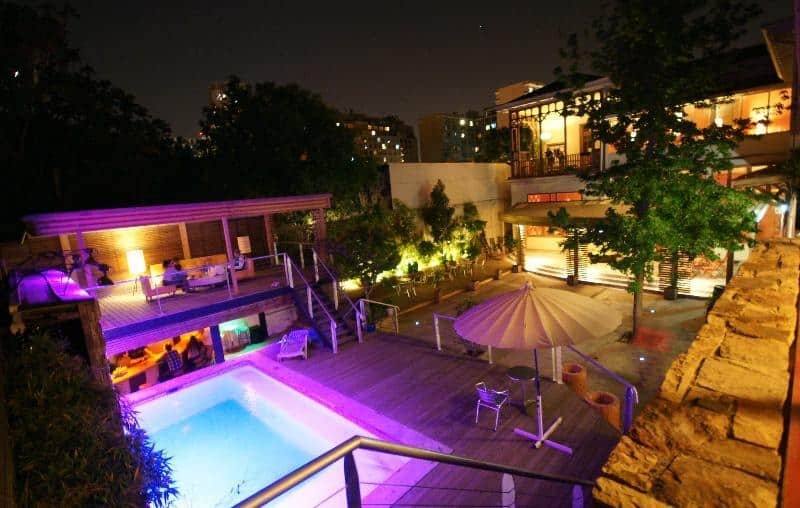 Check out: Best Hostels in Buenos Aires! Chile is a wonderland for nature-lovers. Opportunities for outdoor activities abound, everything from skiing to horseback riding. The blending of European influence with indigenous color makes for an intriguing cultural experience. 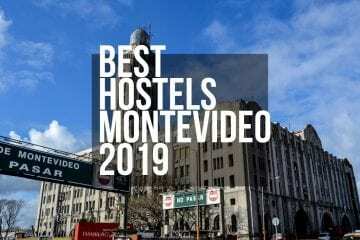 Choosing to stay in a hostel while visiting Chile is a sound decision, as you are bound to be well-cared for. Chileans are some of the most hospitable people I’ve met! 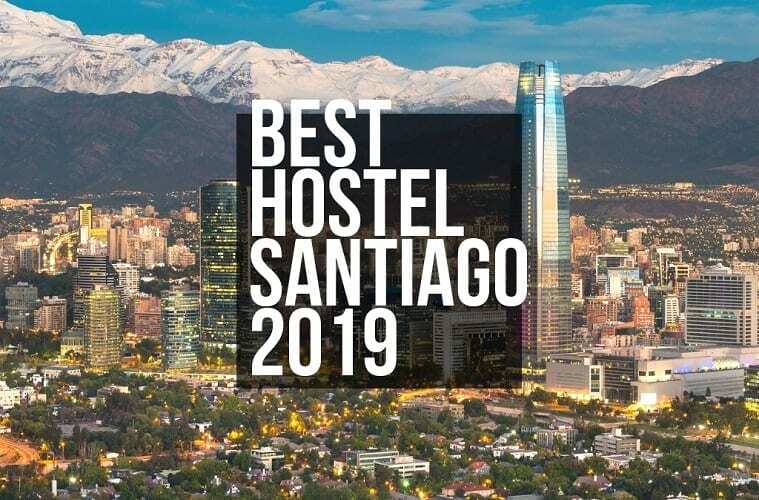 Let’s go on a journey to Santiago, Chile, where we will check out its top 5 hostels (in no particular order). Hostal Providencia is named for the municipality where it’s located. Providencia is a charming area of Santiago whose tree-lined avenues are well-maintained and clean. 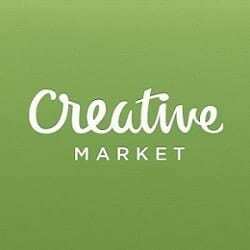 A variety of interesting food establishments lie within a 10-15 minute walk away. 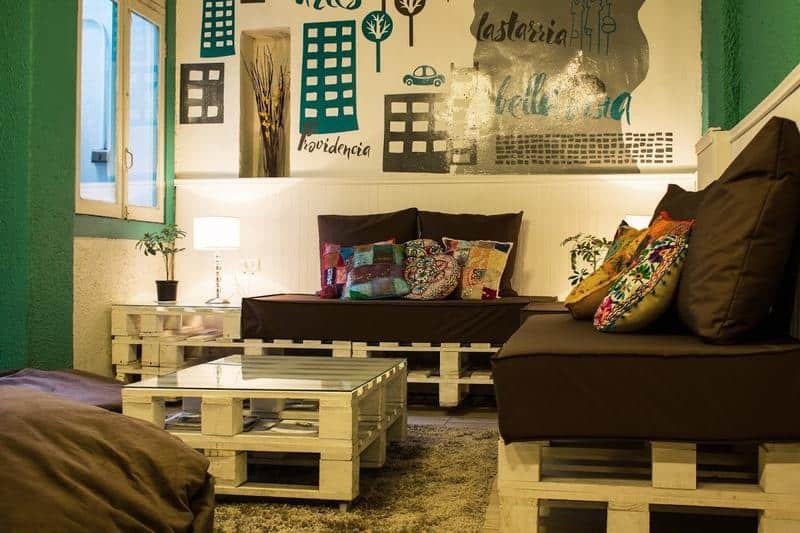 This hostel offers comfy beds, a generous breakfast, and immaculate facilities. Its staff is friendly and accommodating. Rooms (both private and shared) are sizeable. The kitchen is open for hostlers to prepare their own food should you prefer to stay in. We like the cute decor and the fact they have a bar in, which means you can stay close by for a cold one. WiFi is free. 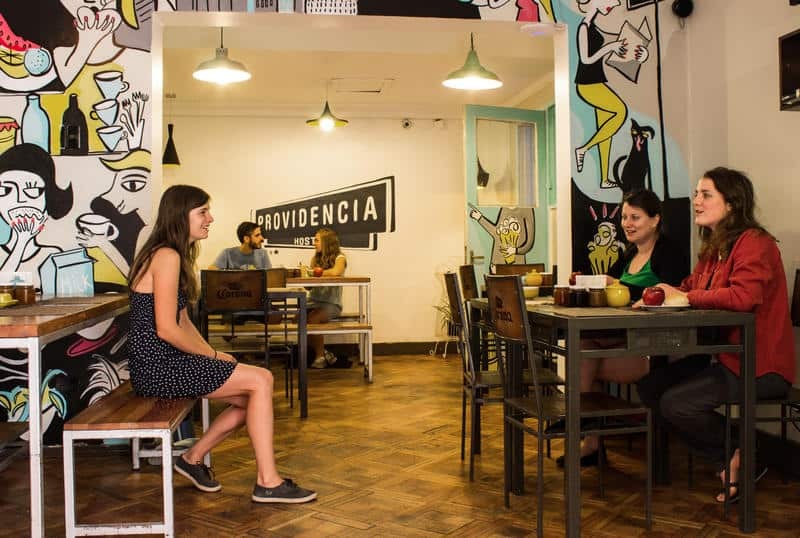 Hostal Providencia is an excellent pick for someone who appreciates the character and is interested in seeing a classic middle-class Chilean neighborhood. 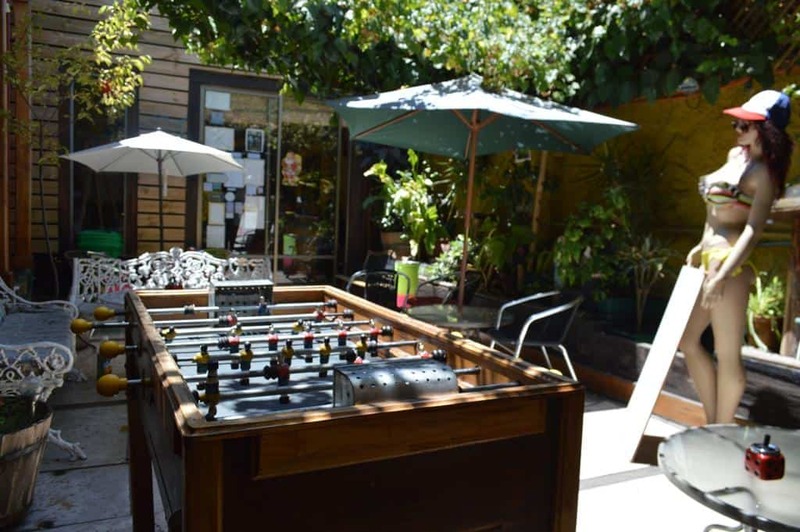 Located just a couple blocks from the Mapocho River and adjacent to an abundance of green space, Hostal Forestal is a Santiago option that’s intent on making their guests feel at home. Their accommodating staff is friendly and goes out of their way to help you make your way around the city. 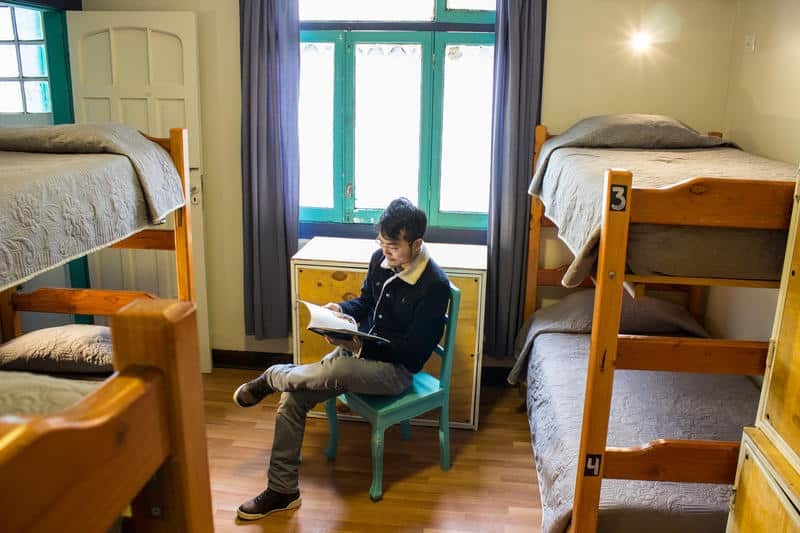 Beds in both the dorms and private rooms are comfortable. The sleeping rooms and common areas are kept tidy. Bathrooms get a daily cleaning and the cleaning staff makes sure they are spotless. WiFi is free and available throughout the hostel. Breakfast is included and offers a wide variety of options that would please even the pickiest eater. There’s a community kitchen and a barbeque area where guests can prepare their own meals if they feel so inclined. A pool table and coordinated group activities (like beer pong) provide extra fun for guests during their stay. 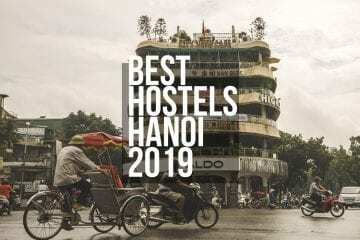 Hostal Forestal is an excellent option for those who seek hosts that will go the extra mile to make their stay enjoyable, as well as for those who want to be near sprawling green areas for outdoor recreation. The Princesa Insolente, or Insolent Princess in English, is as cheeky as its name. 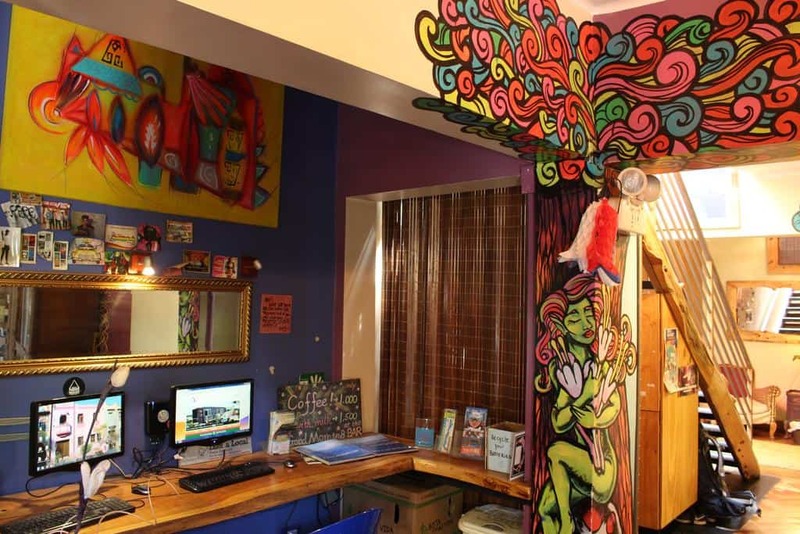 Located in the Barrio Brasil neighborhood in Santiago, this hostel is decorated with vibrant colors and has a funky feel throughout. The Princesa’s beds are roomy and comfortable. Its bathrooms are well-kept and clean, as is the entire place. The staff is helpful and friendly. Free WiFi is provided and guests have access to community computers. There’s an outdoor terrace for enjoying Santiago’s sunny days and cool evenings, and an on-site bar to savor Chilean-produced wines. Breakfast is included for guests in private rooms. It’s not included for visitors staying in the dorms but is offered for a nominal fee, and the portions are generous. 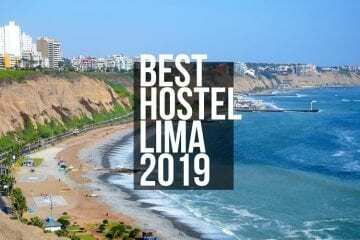 Those who plan to travel to other parts of Chile may be interested to know the owners of the Princesa Insolente have other hostels located in Pichilemu (the coast), Iquique (the north), and Pucon (the south). 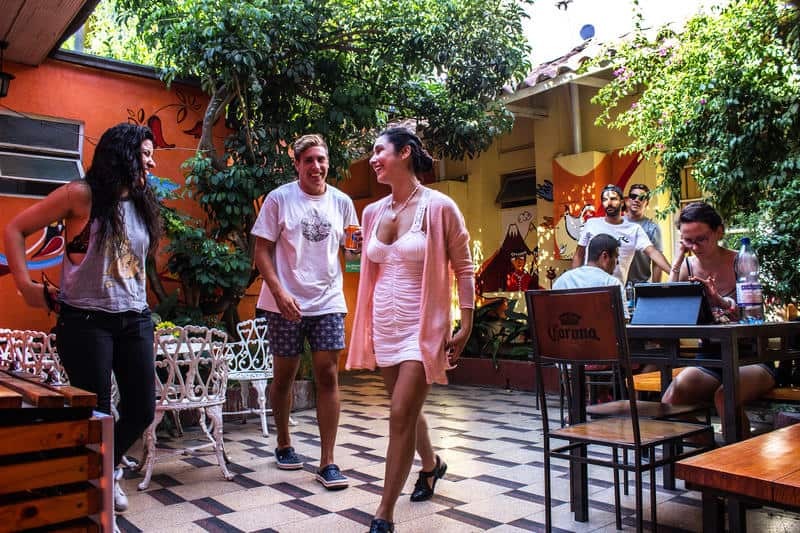 The Princesa Insolente is an ideal hostel for those looking for a place with a ton of character! 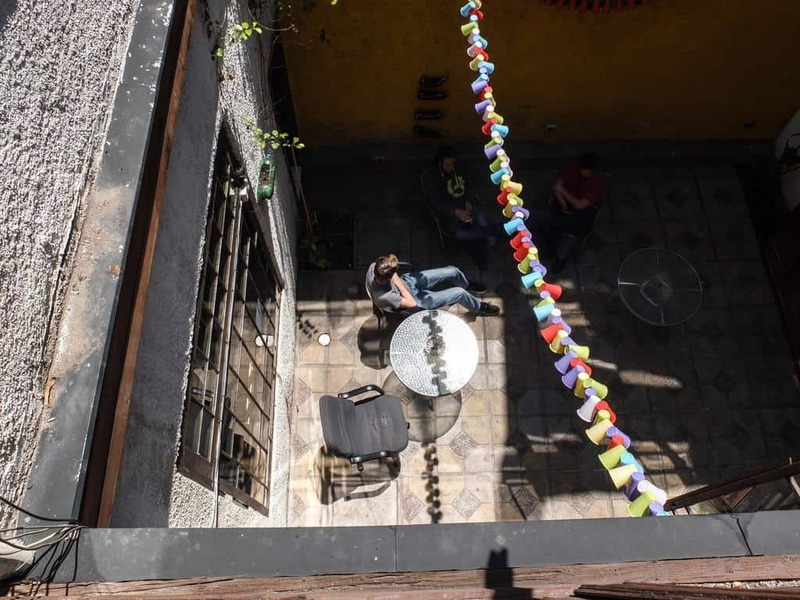 The Happy House Hostel is located in a stately old mansion and is situated very close to Santiago’s city center. 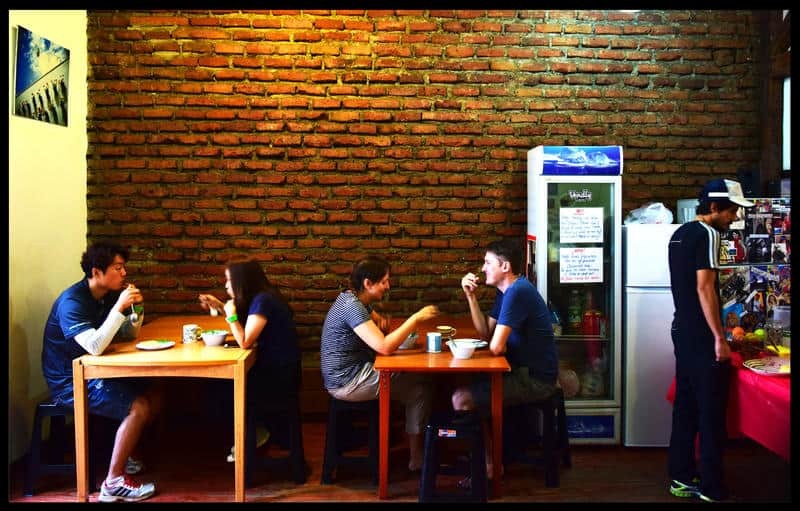 It’s proximity to both bus and metro stops makes this hostel conveniently located for getting around to other areas of the city. 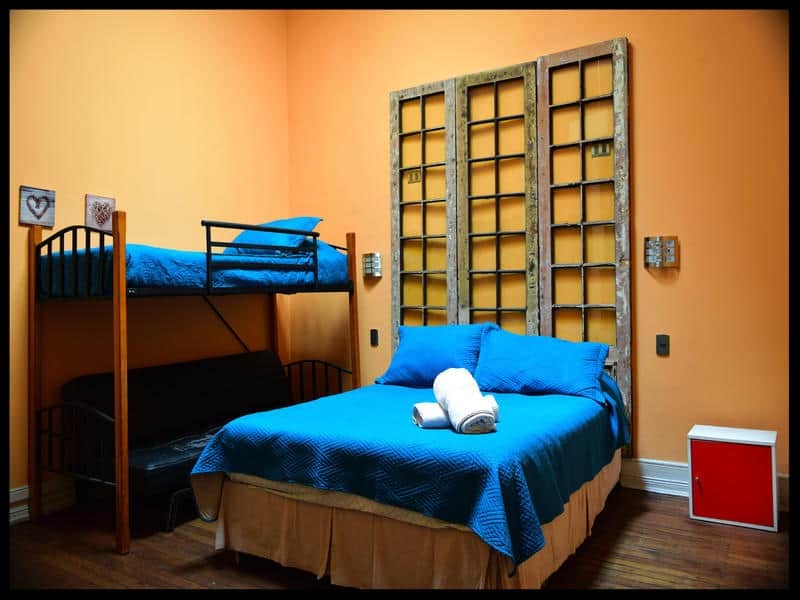 This hostel offers both private and dorm-style rooms. 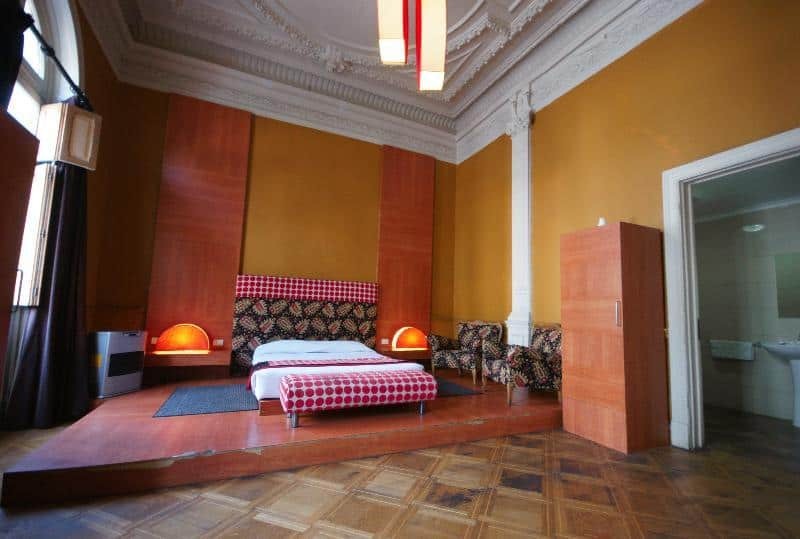 The rooms feel spacious, in part due to the building’s high ceilings. Bathrooms and facilities are well-maintained and clean. Guests have access to the internet via several community computers. Breakfast is included and offered buffet-style, with lots of options. Common areas offer plenty of room so that you don’t feel cramped by other guests. 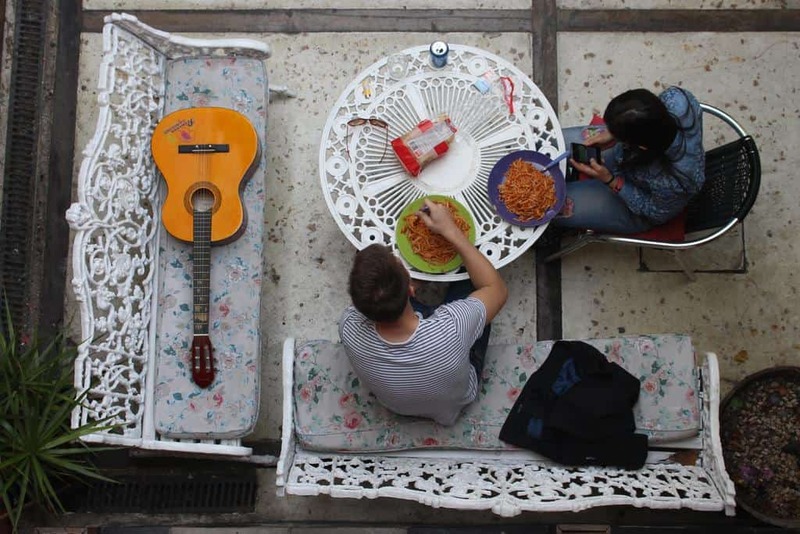 This hostel boasts a large balcony that overlooks a courtyard. The courtyard has a pristinely kept pool with lots of decking for catching rays. An outdoor bar sits alongside the pool area, where you can hang out and make new friends. 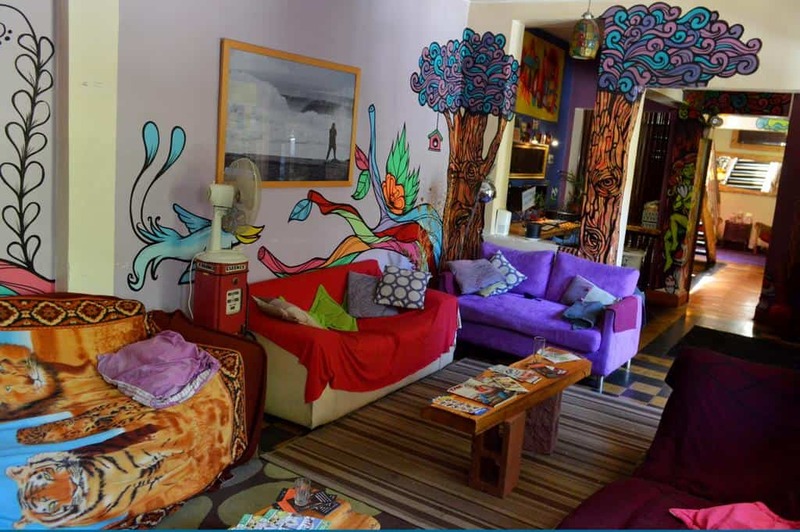 Happy House Hostel is a perfect choice for those who want quick access to public transportation, those who appreciate European-influenced architecture, and those who are looking for a lot of outdoor space. 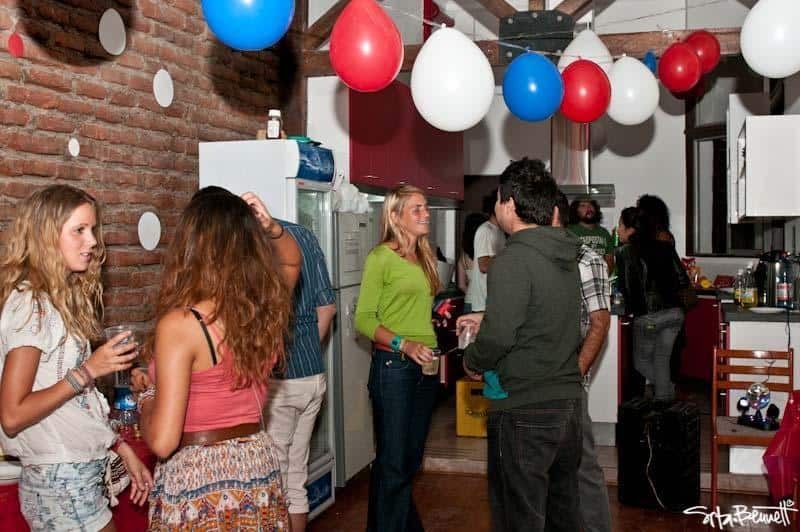 For a super-economical stay in a super-central location, consider Santiago Backpackers Hostel. 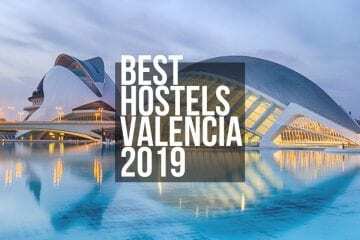 This hostel is within walking distance to many popular sights. Some of these sites include: the Plaza de Armas, Cerro Santa Lucia, and botanical gardens. Nearby is the beautiful Bellavista area that packs in lots of cool dining and drinking establishments. 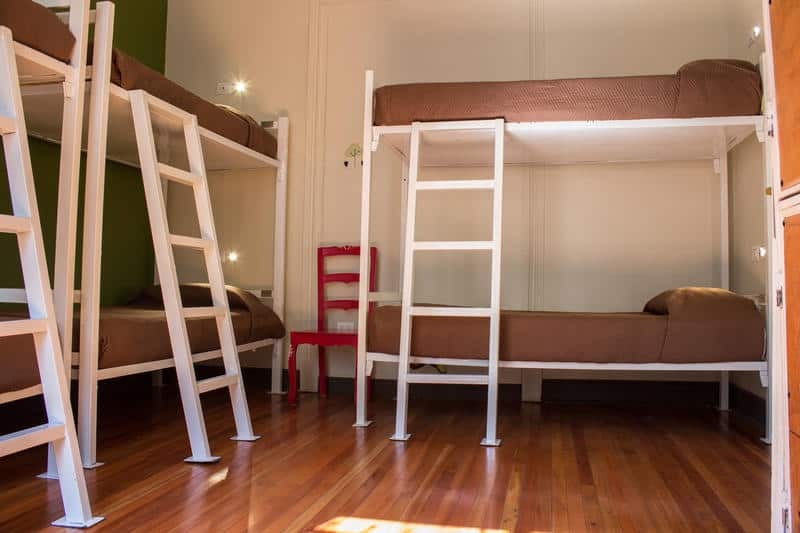 The Santiago Backpackers Hostel has all the basics you’d look for in a hostel – hot showers, free breakfast, free WiFi, and large lockers to secure your personal items, with the additional assurance of clean facilities. It is well-secured, so single travelers will feel safe. 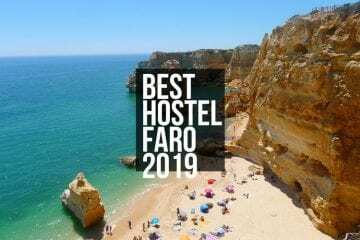 In terms of common areas, this hostel has a patio where you can get some fresh air, ample space in the kitchen for preparing your own food, a large dining area with plenty of tables, and a comfortable living room area. 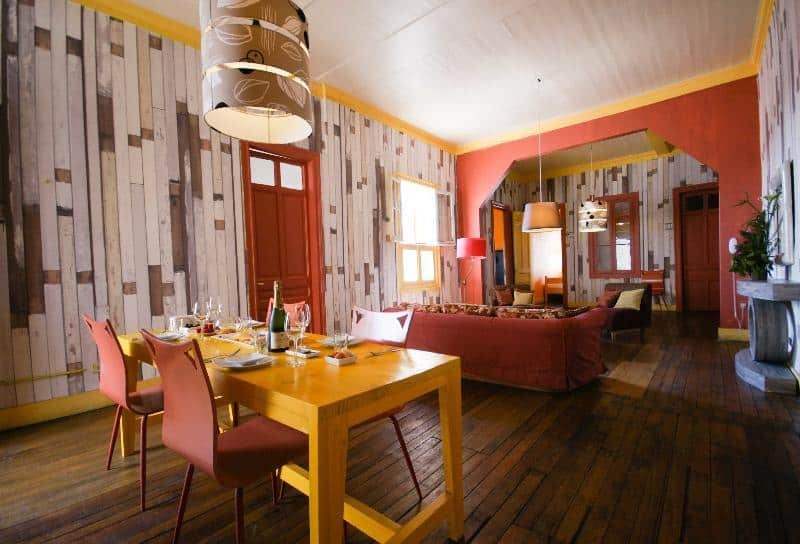 It boasts stunning views of the Andes and offers activity freebies like cheese and wine nights (Tuesday and Thursday) and guided outings to the local market. 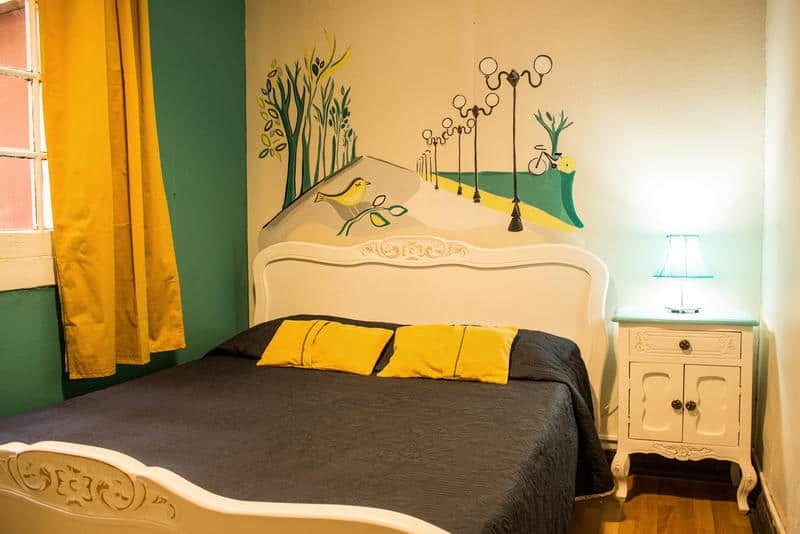 The Santiago Backpackers Hostel is a perfect find for those who are looking for a reasonably priced place to lay their heads but don’t want to compromise on cleanliness. There are so many reasons the traveler on a budget should consider Chile as a destination. And those reasons go beyond the affordable accommodation. They include cheap food, a robust and affordable public transportation system, and many free and low-priced attractions. Eating on the cheap is doable by trying out “picadas”, the places locals go for phenomenal food at a good price. 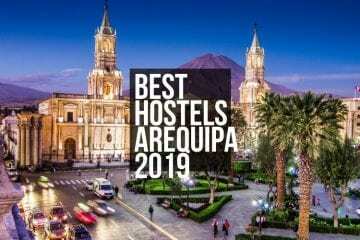 Just ask one of your hostel hosts to point you in the right direction or meander through the Mercado Central where you can sample local cuisine from a myriad of food vendors. In terms of getting around on a budget, much of Santiago is walkable. The city has a metro and buses that can help you get around faster. If you plan to travel outside of Santiago, there is an extensive network of coaches that run from the capital to even the most remote areas of the country. Finally, affordable attractions include a wide array of natural areas like Chile’s national parks and free admission to many museums.